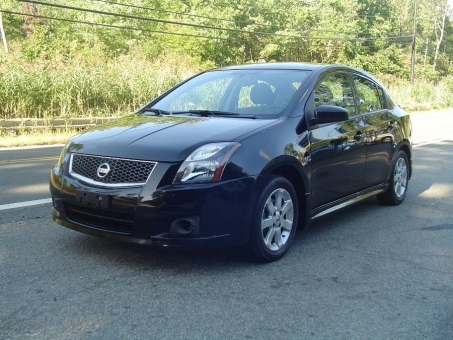 This is an extremely Beautiful ONE OWNER DEALER MAINTAINED 2012 Nissan Sentra SR. This Car looks, runs and drives like its just off the showroom floor. The front windshield is in excellent condition. The paint is in great shape and condition. No dings are visible on this vehicle. This vehicle comes with a new set of tires. The interior was well maintained and is extra clean. The exterior was well maintained and is extra clean. The engine is functioning properly and has no issues. This vehicle has no previous collision damage. The transmission shifts very smoothly. The brakes are in great condition. The battery is in excellent condition. The car was previously owned by a non smoker. A full size spare is included with this vehicle.